Emotional Labor: The load. The mental labor. Or, in everyday life it’s knowing about homework assignments and meal planning. It’s how holidays magically seem to happen. It’s remembering birthdays, anniversaries, and when to buy toilet paper. It’s a lot, but it is also invisible. The invisible work that women have predominately been keepers of and responsible for passing on to generations is finally coming to the forefront and we’re wondering, there has got to be a better way. Gemma admits this is still the beginning of the conversation, but it’s an exciting beginning. Fed Up is a book that explores how our culture got to this moment, how engrained emotional labor effects women in the home, workplace, and culturally at large, and starts to ask questions about why we need this work to be seen and valued. We recommend taking advantage of the book group discussion questions available on Gemma's Site. Ep. 12 - What do Doulas Do? When you think about what a kid needs to move through this world, as parents, we can get stuck on the stuff - the diapers, a car seat, supplies for school, dentist appointments. But when we put the stuff aside, we are left with the emotional child. The person. As parents, we get to be in the thick of it from day one. All the guts and glory of tantrums, heart ache, and celebrations. Regardless if we want it to be this way, we impact our children’s core beliefs about themselves and how they interact with this world. We can be intentional in building up those beliefs, or we can flippant. Today along with my co-host Caity Mehl, we’re going to go through the 6 basic needs of children that influence how these core beliefs develop. Child Protective Services. Department of Child and Family Services. Childhood Advocacy and Protective Services…CPS, DCFS, CAPS. Today, specifically - FCCS - Franklin County Child Services. These organizations and departments all exist to ensure families - and most times, specifically children, are being cared for in a way that ensures their health and safety. The notion that a representative from one of these agencies would appear at your door and have the power to separate you from your is terrifying. As doulas, Caity Mehl and I are sometimes supporting clients who experience a postpartum mood or anxiety disorder - and a very real fear some have about getting help, is the possibility that in doing so, one of these agencies would come and take their kids. It is a mysterious world that these agencies operate in, and one that is surrounded by shame brought on by society’s limited understanding. Today, Caity Mehl, my co-host, is going to share a personal journey with her interactions with Franklin County Child Services. She is quick to share that she realizes this is not the experience all could expect. But, spoiler alert - it ends well, and she hopes to dispel some fear surrounding the people who work with and for these agencies. Thanks for joining us for another episode of A Swift Moment. 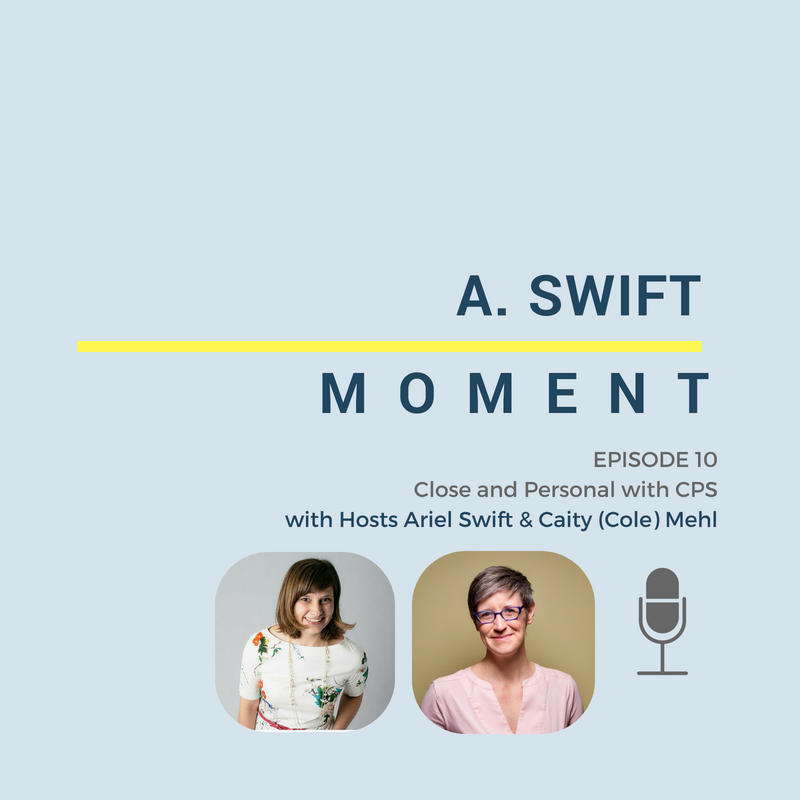 I’m Ariel Swift from Doulas of Chicago and in conversation again today is Caity Mehl of Columbus Birth & Parenting. So we are going to unpack this a little bit and hope it’s helpful! If you have comments, feel free to shoot them over to our facebook page and we’ll continue the conversation together. 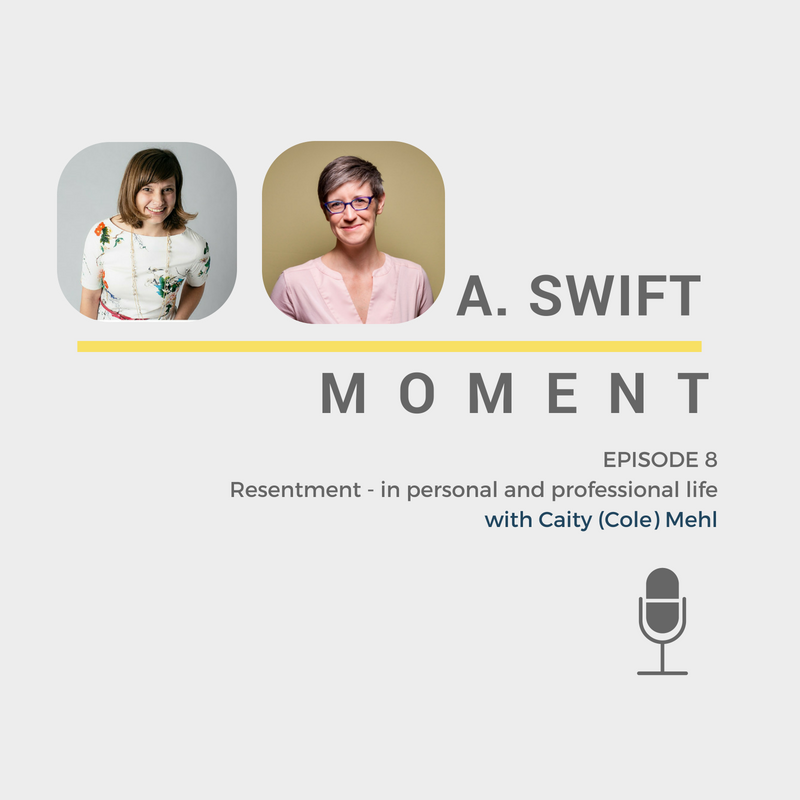 Caity (Cole) Mehl and I share our conversation on Resentment from a Facebook Live from The Tough Love Doula Group. We share insight into resentment in doula work, as business owners, but in personal situations.